The Worcester and Birmingham Canal looks like it’s closed for the winter. On a sunny Sunday in January, a veritable armada of narrow boats was moored at Stoke Wharf, patiently waiting for the weather to turn and the holidaymakers to return. There is just enough room to squeeze one boat past, if you take it careful. 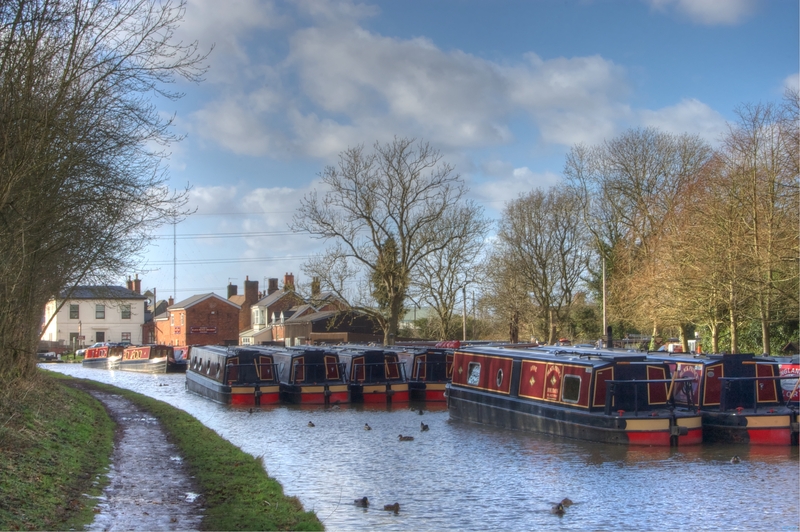 On a summers day, you’ll see narrow boats constantly moving back and forth, heading south to Worcester and the river Severn, and north to Birmingham via the thirty locks at Tardebigge. It’s a popular area for walkers any time of year. A lovely shot that brings back holiday memories, thankyou. Roll on summer!